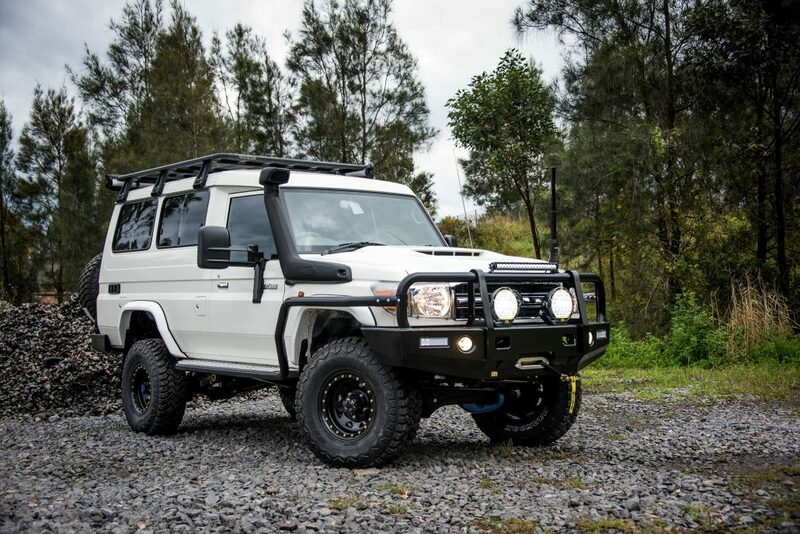 Is there anything more iconic on the Australian 4WD scene than a Troop Carrier Landcruiser? 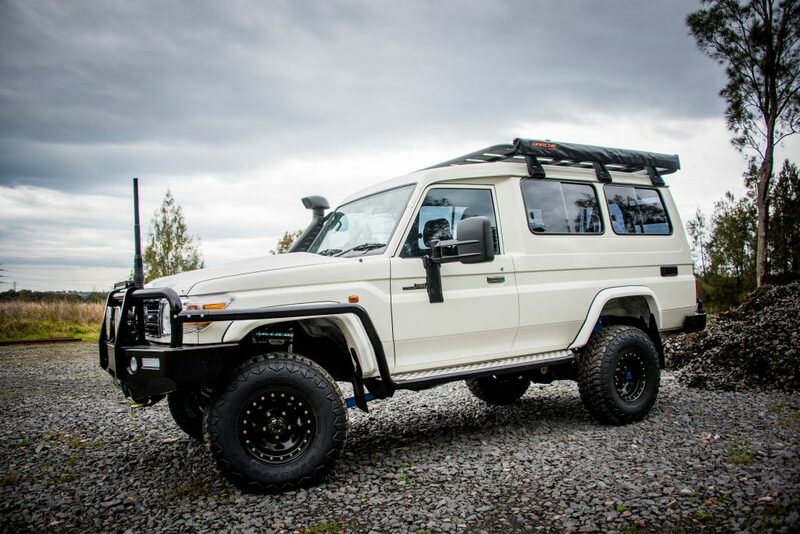 Thinking back to our younger days when the old 40 series troopy ruled the tracks right through to the current day’s 78 – you would be hard pressed to visit the outback, the top end, the high country or even a local camping trip without seeing a kitted up or a beaten up off-white brick on wheels. 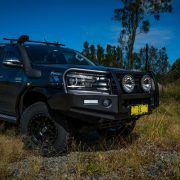 They really do epitomise everything we’ve ever loved about a 4WD – rugged, tough, basic and practical….and square! 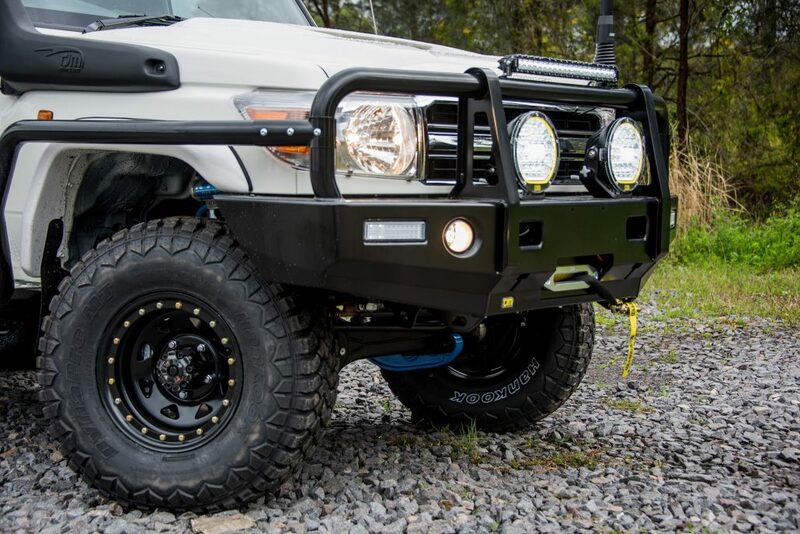 So when some customers approached us about building up the ultimate Troopy for them, you can bet we were pretty damn excited to sink our teeth into the project. 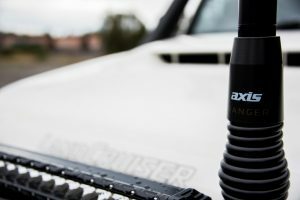 To relieve the customers of some of the basics – the first modification was always going to be a Jmacx rear coil spring conversion. 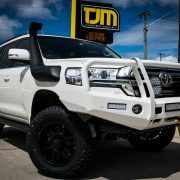 Imagine having the refined ride comfort and axle articulation of a more sedate 4WD put in the chassis of one of the toughest 4WDs ever built! 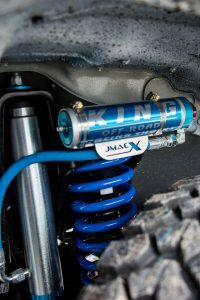 That was an awesome start to this build and the kit included the best of the best – Kings 2.5 remote canister shock absorbers, Airbag Man high pressure air bags and Jmacx billet front radius arms. 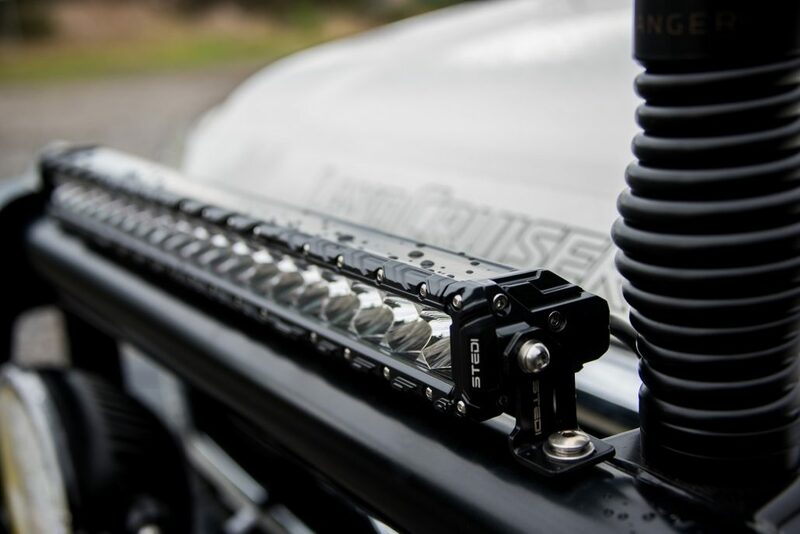 Torqit also fabbed up a custom 3.5 inch stainless steel DPF back exhaust to suit the Jmacx coil cradle and give the performance and exhaust note that this beast truly deserves. 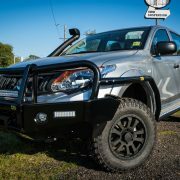 The Troopy was raised a height of 2 inches in suspension lift to fulfil the demands of touring this great country of ours. 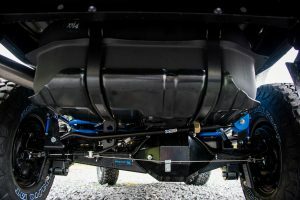 Bar work includes the fattest bar available off the shelf by TJM – the T13 Outback bar with massive 63mm tubing, and brush bars and side steps to suit. 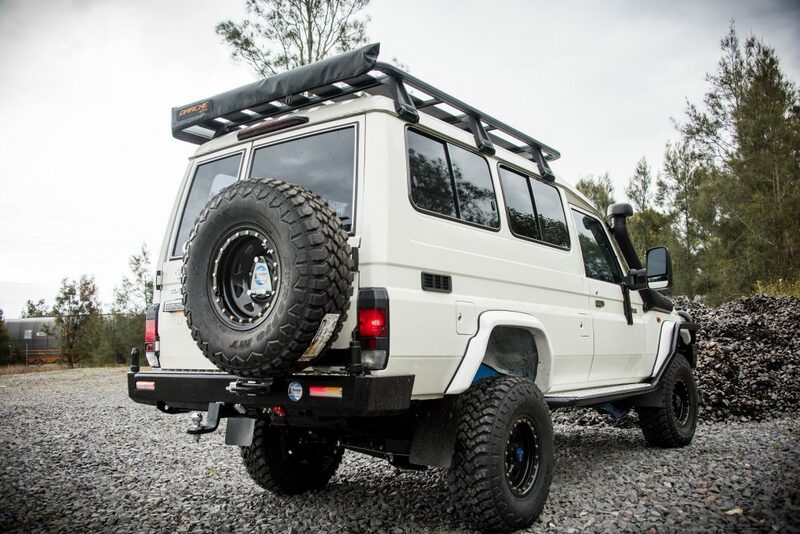 A Kaymar rear bar with single wheel carrier was also fitted to the back, and given that Kaymar have been around almost as long as the Troopy itself building bars for them – it hardly seems like there was any choice to be made for a rear bar. 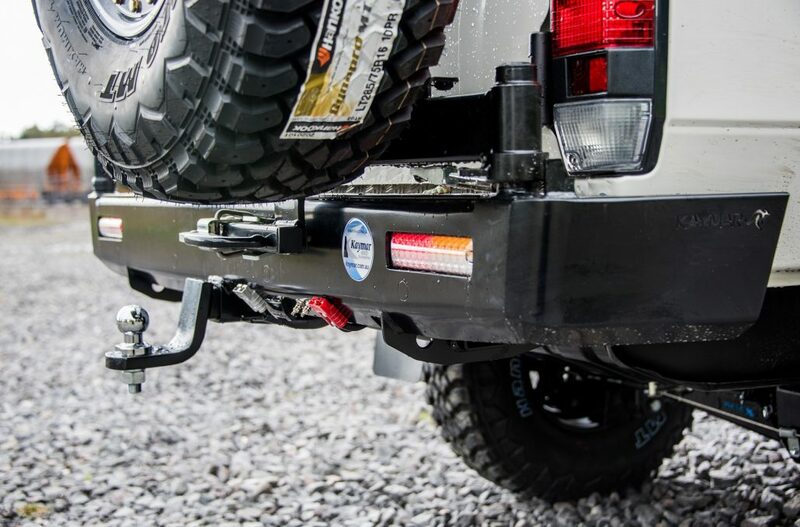 A TJM 12,000lbs Torq winch sits out-front to take care of any recovery duties. 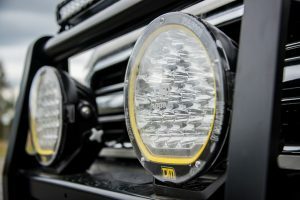 Turning day into night is as simple as adding a pair of TJM Narva 215 LED driving lights and a Stedi 21.5 inch slim line single row light bar, so now no roo goes unseen on those endless outback roads! 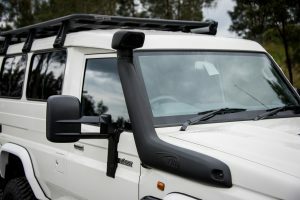 A TJM Airtec snorkel is feeding cooler, cleaner air to the airbox and is welcome improvement over the standard OE item. 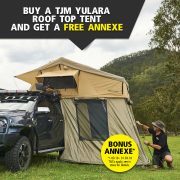 A Rhino Pioneer Platform gives the Troopy added storage capacity and a Darche Eclipse 2 x 2.5m awning is mounted off the side of the platform as well as an Eclipse 1.4 x 2m awning which is mounted off the back to provide plenty of shelter from the harsh Aussie sun and rain. 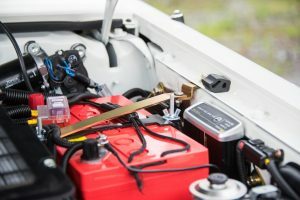 A dual battery system powers auxiliary accessories using the TJM BC-DC 25A charger and Ultimate Red Top AGM 110A/hr battery with a Projector dual battery monitor. 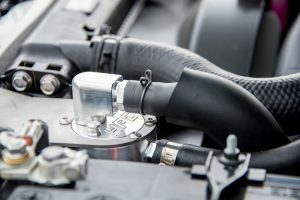 Other under-bonnet accessories include a Diesel Care Pre-fuel filter and a HPD billet alloy catch can for protecting the thumping big VDJ from fuel and oil contaminates. 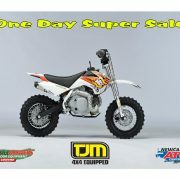 There’s also a set of Harrop diff breaters venting the diffs and gearbox for piece of mind. 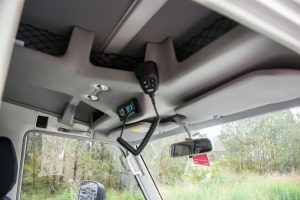 A few changes to the interior of the Troopy include a T-Shaped Roof Console from Department of the Interior which houses a Uniden 9050 din sized UHF and is receiving signal through the giant Axis Ranger 4Dbi antenna. 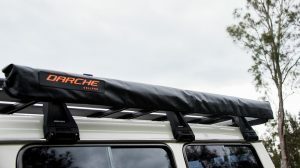 A set of Wetseat seat covers by Inland Australia keep the seats in new condition and there’s an Autosafe cargo barrier to stop in-vehicle traffic with a fire extinguisher fitted for when parties get out of hand. 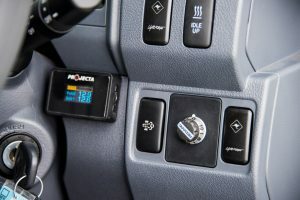 A Redarc TowPro Elite takes care of trailer braking duties and we’ve bolted on a set of Clearview mirrors to assist in dragging the big van around. 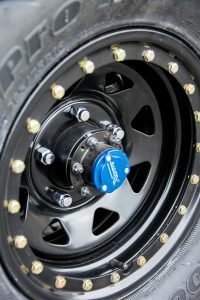 The whole package is rolling on a set of Dynamic Imitation Beadlock rims wrapped in Hankook Dyanpro Mud Terrain tyres that measure 285/75 x 16 inches. 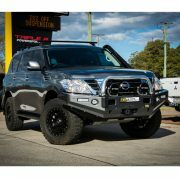 There’s a set of TJM Deluxe flares to hide the wheel poke and these flares replicate the GXL standard flares that the Troop Carriers lack. 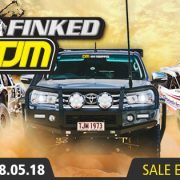 This Troopy is well setup to take on the outback and I’m sure we will see this awesome looking brick popping up in some well- known and not so well-known locations around Aus.